Okay that title is a joke, but an apt one to name a brief reflection of this yearâ€™s International Digital Curation Conference in London this week, with the theme of looking ten years back and ten years forward since the UK Digital Curation Centre was founded. The joke references an alleged written or spoken mistake someone made in referring to the Digital Curation lifecycle model, gleefully repeated on the conference tweetstream (#idcc15). The model itself, as with all great reference works, both builds on prior work and was a product of its time â€“ helping to add to the DCCâ€™s authority within and beyond the UK where people were casting about for common language and understanding in this new terrain of digital preservation, data curation, and â€“ a perplexing combination of terms which perhaps still hasnâ€™t quite taken off, â€˜digital curationâ€™ (at least not to the same extent as â€˜research data managementâ€™). I still have my mouse-mat of the model and live with regrets it was never made into a frisbee. They say about Woodstock that â€˜if you remember it you werenâ€™t really thereâ€™, so I donâ€™t feel too bad that it took Tony Heyâ€™s coherent opening plenary talk to remind me of where we started way back in 2004 when a small band under the directorship of Peter Burnhill (services) and Peter Buneman (research) set up the DCC with generous funding from Jisc and EPSRC. Former director Chris Rusbridge likes to talk about â€˜standing on the shoulders of giantsâ€™ when describing long-term preservation, and Tony reminded us of the important, immediate predecessors of the UK e-Science Programme and the ground-breaking government investment in the Australian National Data Service (ANDS) that was already changing a lot of peopleâ€™s lifestyles, behaviours and outlooks. Traditionally the conference has a unique format that focuses on invited panels and talks on the first day, with peer-reviewed research and practice papers on the second, interspersed with demos and posters of cutting edge projects, followed by workshops in the same week. So whilst I always welcome the erudite words of the first dayâ€™s contributors, at times there can be a sense of, â€˜Wait â€“ havenâ€™t things moved on from there already?â€™ So it was with the protracted focus on academic libraries and the rallying cries of the need for them to rise to the â€˜newâ€™ challenges during the first panel session chaired by Edinburghâ€™s Geoffrey Boulton, focused ostensibly on international comparisons. Librarians â€“ making up only part of the diverse audience – were asking each other during the break and on twitter, isnâ€™t that exactly what they have been doing in recent years, since for example, the NSF requirements in the States and the RCUK and especially EPSRC rules in the UK, for data management planning and data sharing? Certainly the education and skills of data curators as taught in iSchools (formerly Library Schools) has been a mainstay of IDCC topics in recent years, this one being no exception. But has anything really changed significantly, either in libraries or more importantly across academia since digital curation entered the namespace a decade ago? This was the focus of a panel led by the proudly impatient Carly Strasser, who has no time for â€˜slowâ€™ culture change, and provocatively assumes â€˜weâ€™ must be doing something wrong. She may be right, but the panel was divided. Tim DiLauro observed that some disciplines are going fast and some are going slow â€“ depending on whether technology is helping them get the business of research done. And even within disciplines there are vast differences â€“-perhaps proving the adage that â€˜the future is here, itâ€™s just not distributed yetâ€™. Geoffrey Bilder spoke of tipping points by looking at how recently DOIs (Digital Object Identifiers, used in journal publishing) meant nothing to researchers and how they have since caught on like wildfire. He also pointed blame at the funding system which focuses on short-term projects and forces researchers to disguise their research bids as infrastructure bids â€“ something they rightly donâ€™t care that much about in itself. My own view is that weâ€™re lacking a killer app, probably because itâ€™s not easy to make sustainable and robust digital curation activity affordable and time-rewarding, never mind profitable. (Tim almost said this with his comparison of smartphone adoption). Only time will tell if one of the conference sponsors proves me wrong with its preservation product for institutions, Rosetta. It took long-time friend of the DCC Clifford Lynch to remind us in the closing summary (day 1) of exactly where it was we wanted to get to, a world of useful, accessible and reproducible research that is efficiently solving humanityâ€™s problems (not his words). Echoing Carlyâ€™s question, he admitted bafflement that big changes in scholarly communication always seem to be another five years away, deducing that perhaps the changes wonâ€™t be coming from the publishers after all. As ever, he shone a light on sticking points, such as the orthogonal push for human subject data protection, calling for â€˜nuanced conversations at scaleâ€™ to resolve issues of data availability and access to such datasets. Perhaps the UK and Scotland in particular are ahead in driving such conversations forward; researchers at the University of Edinburgh co-authored a report two years ago for the government on â€œPublic Acceptability of Data Sharing Between the Public, Private and Third Sectors for Research Purposes,â€� as a pre-cursor to innovations in providing researchers with secure access to individual National Health Service records linked to other forms of administrative data when informed consent is not possible to achieve. Given the weight of this societal and moral barrier to data sharing, and the spread of topics over the last 10 years of conferences, I quite agree with Laurence Horton, one of the panelists, who said that the DCC should give a particular focus to the Social Sciences at next yearâ€™s conference. Research published a year ago in the journal Current Biology found that 80 percent of original scientific data obtained through publicly-funded research is lost within two decades of publication. The study, based on 516 random journal articles which purported to make associated data available, found the odds of finding the original data for these papers fell by 17 percent every year after publication, and concluded that â€œPolicies mandating data archiving at publication are clearly neededâ€� (http://dx.doi.org/10.1016/j.cub.2013.11.014). In this post Iâ€™ll touch on three different initiatives aimed at strengthening policies requiring publicly funded data â€“ whether produced by government or academics â€“ to be made open. First, a report published last month by the Research Data Alliance Europe, â€œThe Data Harvest: How sharing research data can yield knowledge, jobs and growth.â€�Â Second, a report by an EU-funded research project called RECODE on â€œPolicy Recommendations for Open Access to Research Dataâ€�, released last week at their conference in Athens.Â Third, the upcoming publication of Scotlandâ€™s Open Data Strategy, pre-released to attendees of an Open Data and PSI Directive Awareness Raising Workshop Monday in Edinburgh. Experienced so close together in time (having read the data harvest report on the plane back from Athens in between the two meetings), these discrete recommendations, policies and reports are making me just about believe that 2015 will lead not only to a new world of interactions in which much more research becomes a collaborative and integrative endeavour, playing out the idea of â€˜Science 2.0â€™ or â€˜Open Scienceâ€™, and even that the long-promised â€˜knowledge economyâ€™ is actually coalescing, based on new products and services derived from the wealth of (open) data being created and made available. John Wood, currently the Co-Chair of the global Research Data Alliance (RDA) as well as Chair of RDA-Europe, set out the case in his introduction to the Data Harvest report, and from the podium at the RECODE conference, that the new European commissioners and parliamentarians must first of all, not get in the way, and second, almost literally â€˜plan the harvestâ€™ for the economic benefits that the significant public investments in data, research and technical infrastructure are bringing. The reportâ€™s irrepressible argument goes, â€œJust as the World Wide Web, with all its associated technologies and communications standards, evolved from a scientific network to an economic powerhouse, so we believe the storing, sharing and re-use of scientific data on a massive scale will stimulate great new sources of wealth.â€� The analogy is certainly helped by the fact that the WWW was invented at a research institute (CERN), by a researcher, for researchers. The web â€“ connecting 2 billion people, according to a McKinsey 2011 report, contributed more to GDP globally than energy or agriculture. The report doesnâ€™t shy away from reminding us and the politicians it targets, that it is the USA rather than Europe that has grabbed the lionâ€™s share of economic benefitâ€“ via Internet giants Google, Amazon, eBay, etc. – from the invention of the Web and that we would be foolish to let this happen again. Pharmacog – partnership of academic institutions and pharmaceutical companies to find promising compounds for Alzheimerâ€™s research to avoid expensive late-stage failures of drugs in development. Human Brain Project – multidisciplinary initiative to collect and store data in a standardised and systematic way to facilitate modelling. Clarin – integrating archival information from across Europe to make it discoverable and usable through a single portal regardless of language. to researchers, for whom the free exchange of data will open up new research and career opportunities, allow crossing of boundaries of disciplines, institutions, countries, and languages, and whose status in society will be enhanced. If the data harvest report lays out the argument for funding open data and open science, the RECODE policy recommendations focus on what the stakeholders can do to make it a reality. The project is fundamentally a research project which has been producing outputs such as disciplinary case studies in physics, health, bioengineering, environment and archaeology. The researchers have examined what they consider to be four grand challenges for data sharing. Stakeholder values and ecosystems: the road towards open access is not perceived in the same way by those funding, creating, disseminating, curating and using data. Legal and ethical concerns: unintended secondary uses, misappropriation and commercialization of research data, unequal distribution of scientific results and impacts on academic freedom. Infrastructure and technology challenges: heterogeneity and interoperability; accessibility and discoverability; preservation and curation; quality and assessibility; security. Institutional challenges: financial support, evaluating and maintaining the quality, value and trustworthiness of research data, training and awareness-raising on opportunities and limitations of open data. RECODE gives overarching recommendations as well as stake-holder specific ones, a â€˜practical guide for developing policiesâ€™ with checklist for the four major stakeholder groups: funders, data managers, research institutions and publishers. 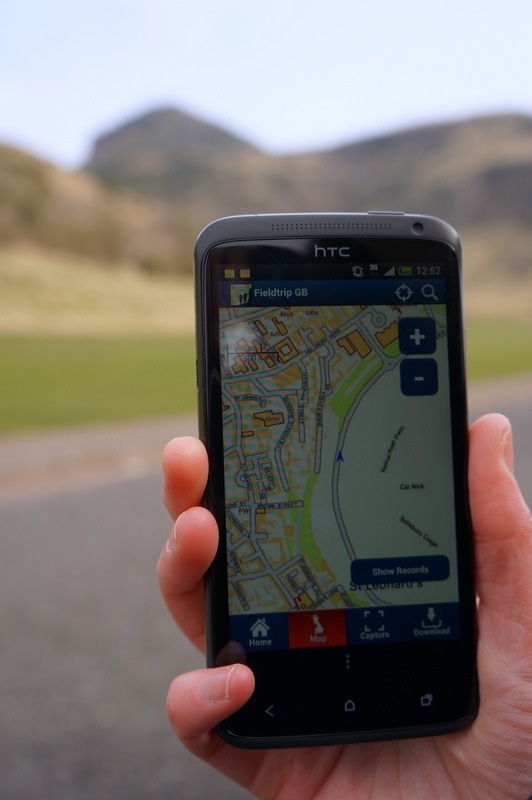 The Scottish government event was a pre-release of theÂ open data strategy, which is awaiting final ministerial approval, though in its final draft, following public consultation. The speakers made it clear that Scotland wants to be a leader in this area and drive culture change to achieve it. The policy is driven in part by the G8 countries’ â€œOpen Data Charterâ€� to act by the end of 2015 on a set of five basic principles â€“ for instance, that public data should be open to all â€œby defaultâ€� rather than only in special cases, and supported by UK initiatives such as the government-funded Open Data Institute and the grassroots Open Knowledge Foundation. Improved governance (or public services) and â€˜unleashingâ€™ innovation in the economy are the two main themes of both the G8 charter and the Scotland strategy. The fact was not lost on the bureaucrats devising the strategy that public sector organisations have as much to gain as the public and businesses from better availability of government data. The thorny issue of personal data is not overlooked in the strategy, and a number of important strides have been taken in Scotland by government and (University of Edinburgh) academics recently on both understanding the publicâ€™s attitudes, and devising governance strategies for important uses of personal data such as linking patient records with other government records for research. The remainder of the day focused on the new EU Public Service Information directive and how it is being â€˜transposedâ€™ into UK legislation to be completed this year. In short, the Freedom of Information and other legislation is being built upon to require not just publication schemes but also asset lists with particular titles by government agencies. The effect of which, and the reason for the awareness raising workshop is that every government agency is to become a data publisher, and must learn how to manage their data not just for their own use but for public â€˜re-usersâ€™. Also, for the first time academic libraries and other â€˜cultural organisationsâ€™ are to be included in the rules, where there is a â€˜public taskâ€™ in their mission. â€˜Digital firstâ€™ refers to the charging rules in which only marginal costs (not full recovery) may be passed on, and where information is digital the marginal cost is expected to be zero, so that the vast majority of data will be made freely available. As well as being part of the Local organising committee, EDINA sent a number of developers to FOSS4G. In the first of a series of guest posts we find out what the developers thought of the event and what they will be following up. First up is Panos. Panos graduated with an MSc in GIS from Edinburgh University 3 years ago and has been working for the geo team at EDINA since. Who am I and in what I am interested in? I am Panos and work in EDINA as software engineer. 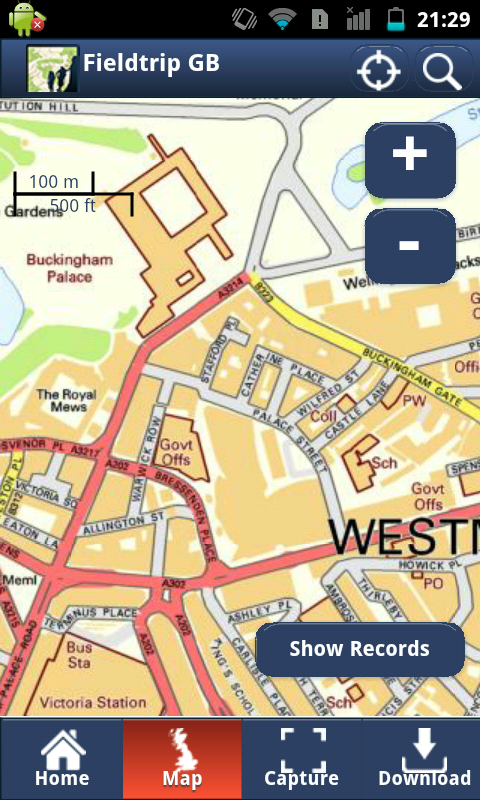 I maintain a service called UK Data Service Support and I am working on a project an EU FP7 project called COBWEB which focuses on mobile GIS development and sensor data. As you can see from my background I am mainly interested on mobile development, GEOSERVER and sensor data frameworks. I managed to attend most of the presentations that have to do with these topics. Most of the projects focused around OpenLayers mobile/leaflet/jquery mobile/sencha touch and phonegap. 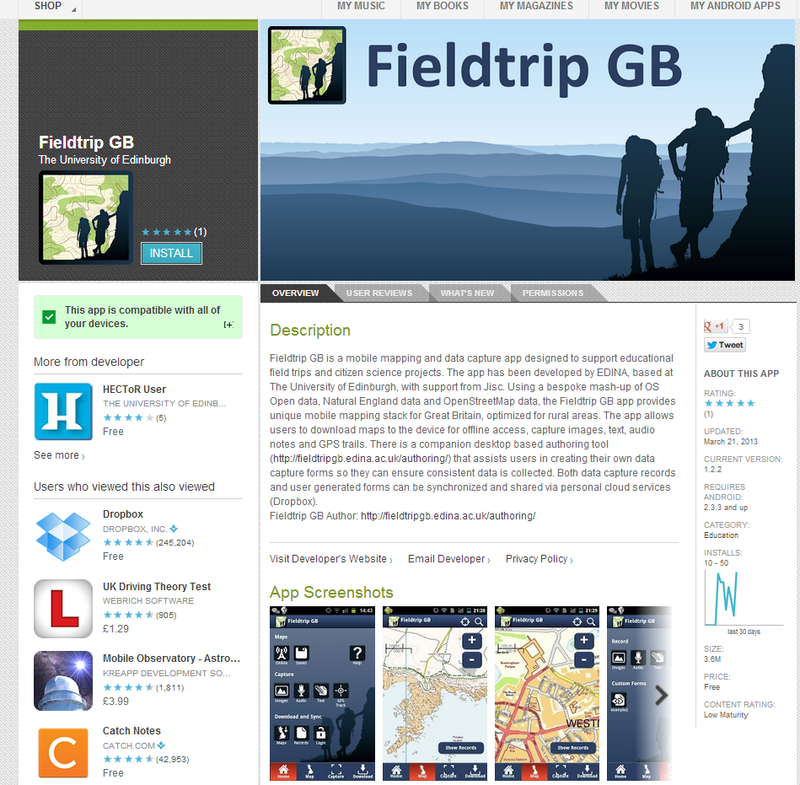 EDINA have used a similar blend of technologies in our mobile app, Fieldtip GB. There were many similarities in how they designed their apps, the feedback they received from users, the workflow they followed and the problems they had with touch events on different devices. The outcome is that they would take a similar approach but they would perhaps try an alternative to phonegap. One smart approach they had on visualizing lots of vector data on a small screen was to use MapProxy to merge raster and vector data to deliver a WMS. The touch event of the users then searches for the closest feature and the app asks for the corresponding WFS returning information for the correct feature. 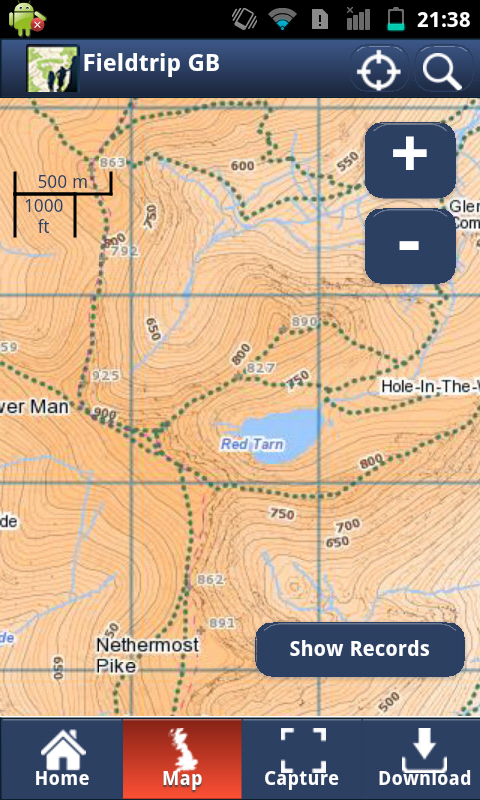 Geoserver 2.4.0 has some new interesting features. The most interesting for me is a monitoring system for checking what kind of users are using the app and what kind of data they are accessing. It’s a nice solution for monitoring the use you have on GEOSERVER and there is even a GUI for it. I plan to investigate how we might implement this in the UK Data Service Support. Unfortunately, the work that has taken place on this is quite limited. It’s mainly about hydrology. North52 (https://github.com/52North/) seems like a promising framework that can adapt to all different scenarios about sensor data. Some people have used for covering the scenario of if someone should go for hiking by considering factors such as birch pollen, meteorology and air quality. This may be useful for COBWEB. I’ll definitely try to investigate the new GEOSERVER functionality and 52North framework in order to see how I can benefit from them in my new projects. I’ll keep you posted with my progress. I would also like to say that these 3 presentations that I watched are not the only one that I found interesting. There are more that are equally interesting such as leaflet, geonode, ZOO project, cartoDB, iris project and cartopy. You should be able to watch these through ELOGeo in a couple of weeks. Today we bring you a rather belated live blog (entirely your Repository Fringe blog editor’s fault) from guest blogger Valerie McCutcheon,Â Research Information Manager at the University.Â She is part of a team that provides support for managing a wide range activity including datasets, publications, and other research outputs. ValerieÂ blogs regularly at Cerif 4 Datasets. Open data – Are there good case studies out there from UK higher education institute based researchers that might illustrate to our researchers some potential benefits to investing time in making data openly available? Â Had a good chat with Jacqui Taylor over lunch and hope we can follow this up.